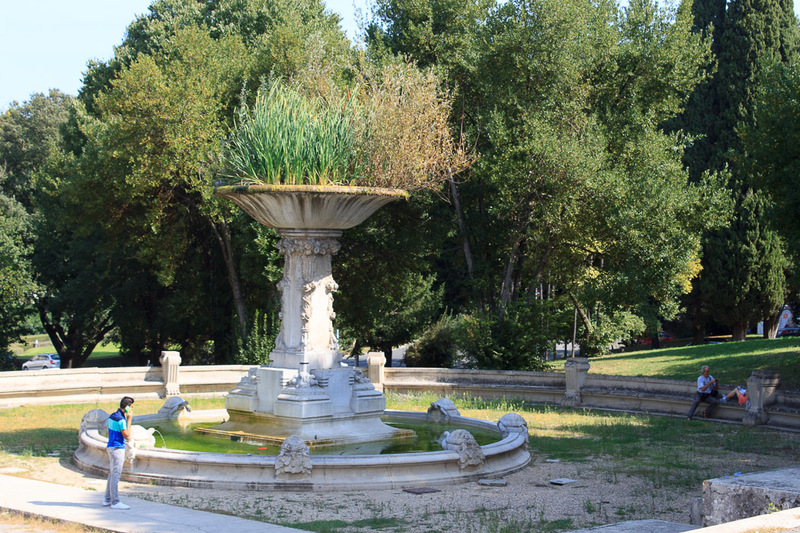 The two Fountains on Viale di Valle Giulia are in front of the National Gallery of Modern Art in the Villa Borghese. I wanted to see them because Respighi referred to them in his Roman Trilogy. They're not much to see nowadays, as you can tell from the photos. In fact, with the size of the plants growing out of the top of the fountain on the left, it looks like no water has flowed from the top of that fountain for quite some time now. But there is a trickle coming out of the turles at the base of the two fountains. Still, not much to see. 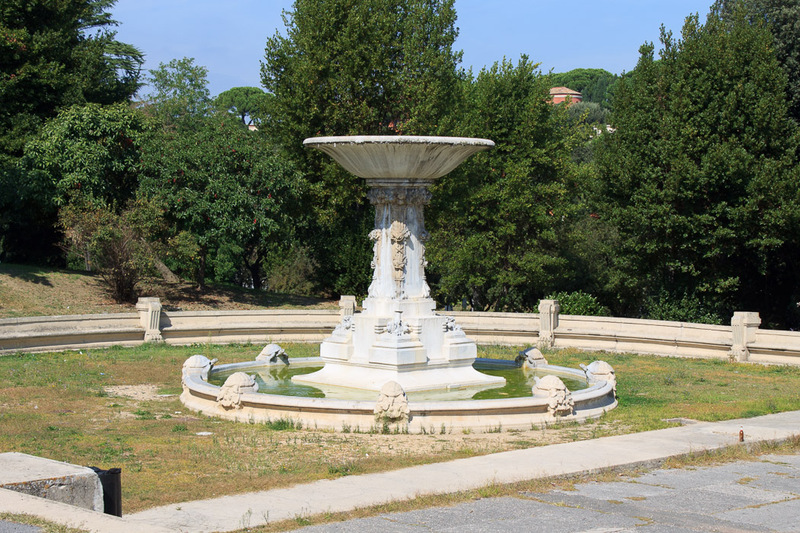 See all Fountain on Viale di Valle Giulia photos.